Klever Jay has announced a musical competition which is not only a give-away to one of his fans on his birthday, but also to say a big thank you to fans, friends, industry & family - who have supported him since he kick-started his music career. He has decided to bring back one of his greatest hit-track 'Koni Koni Love' with his respected producer, Ksolo - which also served as the project that launched him officially into the music limelight 8 years ago. 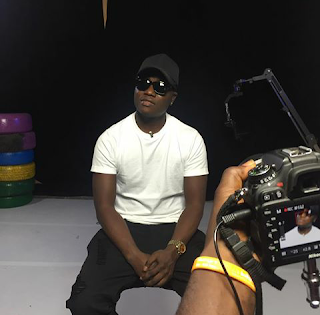 Jay is set to drop a remix to the classic song originally released year 2008 featuring Danny Young - which till date, still buzzing on media platforms. 'Baba No Regret' has decided to give one of his fans a chance to win a sum of N20,000 by simply recording an Instagram freestyle (video) verse on a space which is provided on the song below. Participants are to tag @KleverJay on Instagram with their freestyle video. Winner will be announced on his birthday, December 31st. What are you still waiting for? Hit it!